MOSTRA "The Belgians at Le Mans"
Dal 5 Maggio al 1 Luglio 2018 si sta svolgendo a Bruxelles la mostra incentrata sulla partecipazione di piloti belgi alla mitica 24 ore di Le Mans. Non moltissime automobili (fra le quali un paio erano repliche) ma di grande qualita'. Qui di seguito un estratto la descrizione ufficiale dell'evento, che potrete trovare anche in altre lingue sulla pagina dell'evento del museo automobilistico "Autoworld". The second wave did just as well, with drivers like Ickx, Boutsen, Dieudonné, Van de Poele, Duez, De Drijver, Witmeur, Libert, “Christine”, Regout and many others. The exhibition “Belgians in Le Mans” that will be organised (with the support of the Belgian section of the “Automobile Club de l’Ouest”) in the magnificent setting of Autoworld in May and June 2018 will honour them with some of the cars in which they competed. We can already announce the following cars: a Peugeot 905, an Argo-Porsche, a Porsche 934, a Shelby 350GT, etc. 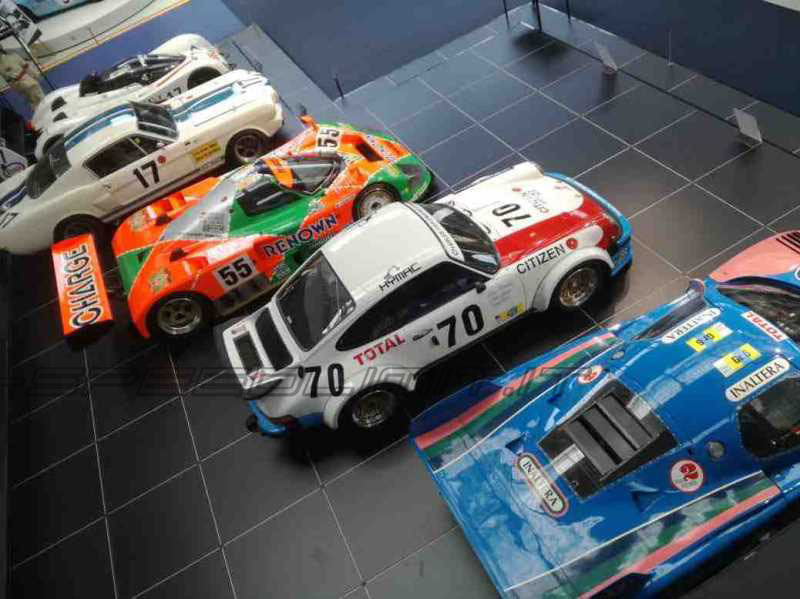 Various iconic cars that participated in the race and are usually exhibited in the Le Mans Track Museum will move to Brussels especially for this exhibition.